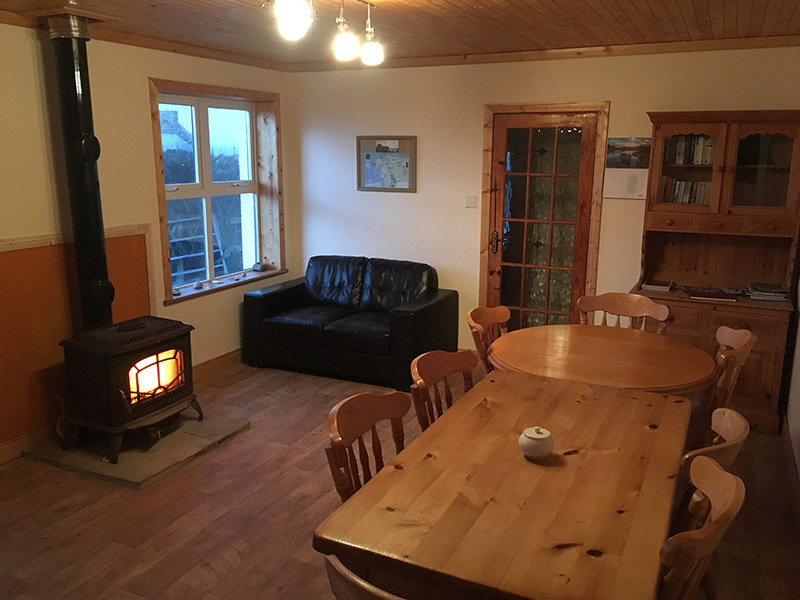 Belmullet Coast Guard Station, Mayo | Glamping Western Way | Glampsites on and around the western coast of Ireland. Luxury Glamping pods in a spectacular island setting. 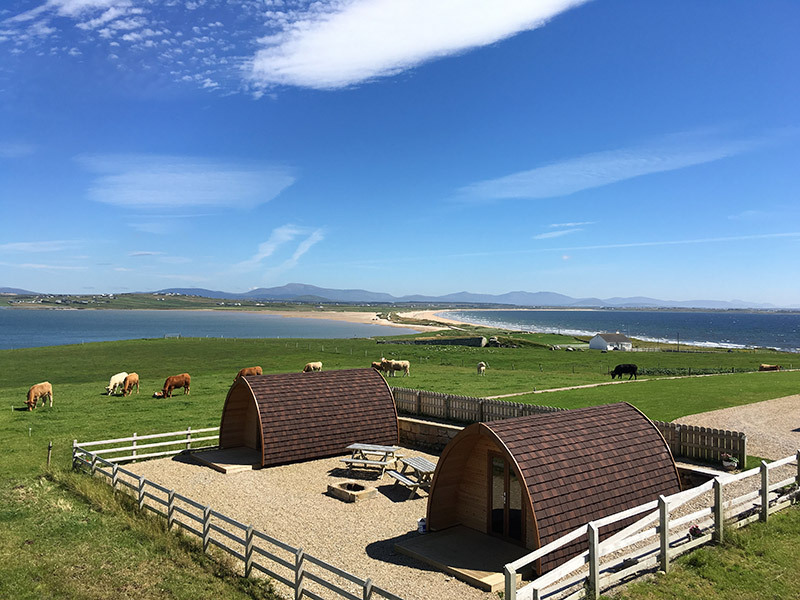 Looking to go Glamping in the west of Ireland? 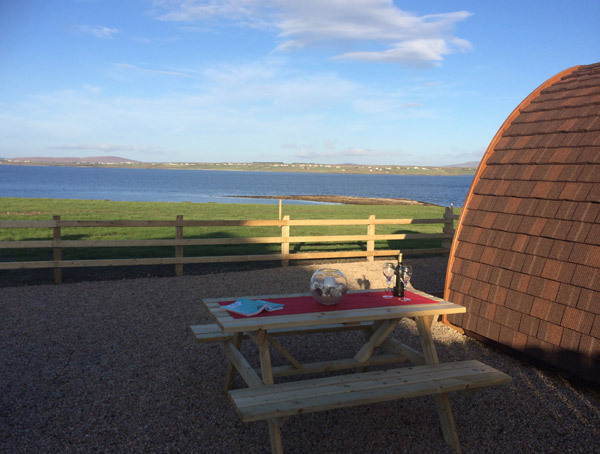 Then Belmullet Cgs pods on Claggan island is the place for you! 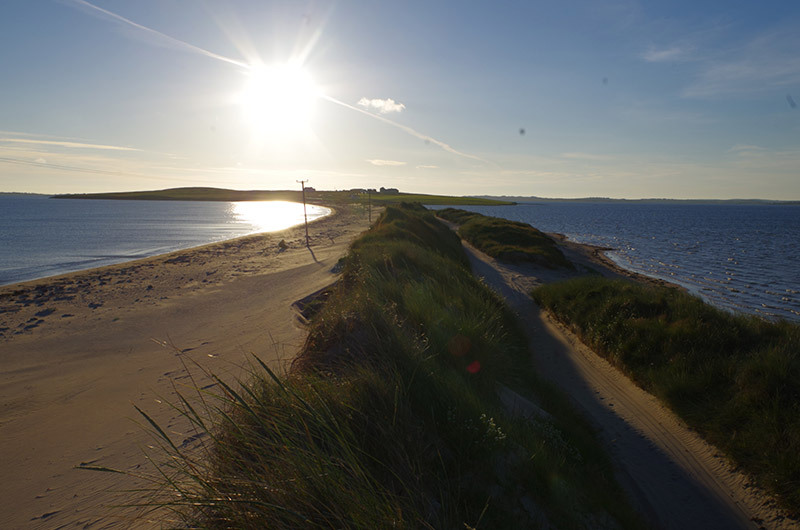 Located in the heart of Erris in Co Mayo, Claggan island offers a unique Glamping experience. The pods are located in the heart of a working farm so you can wake up in complete luxury only yards away from cows, calves,donkeys, chickens & ducks. 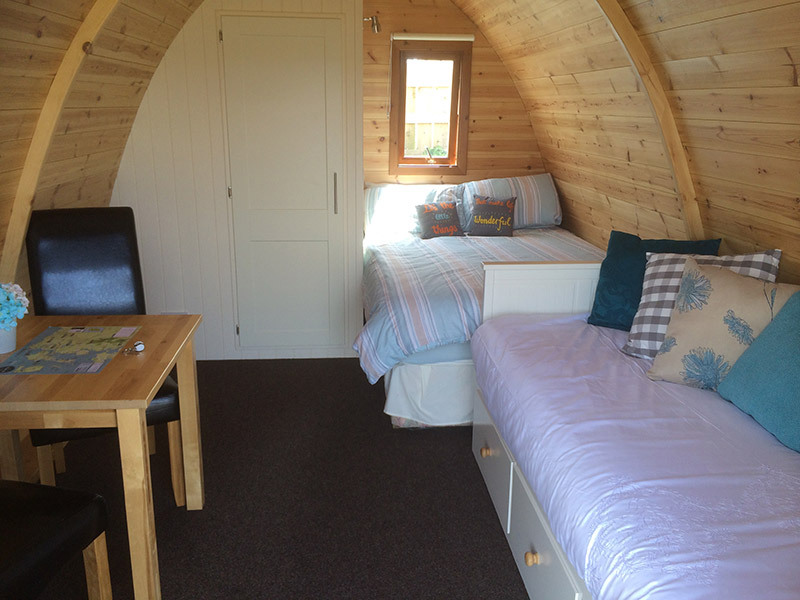 Each pod is equipped with a double bed, pull out sofa bed, toilet / hand basin & electric heater. The pods offer stunning sea views of Tramore bay, Belmullet & the Mullet peninsula. With spectacular sunrise & sunsets, the setting is truly amazing. The pods are only a 5 minute walk to the beach. 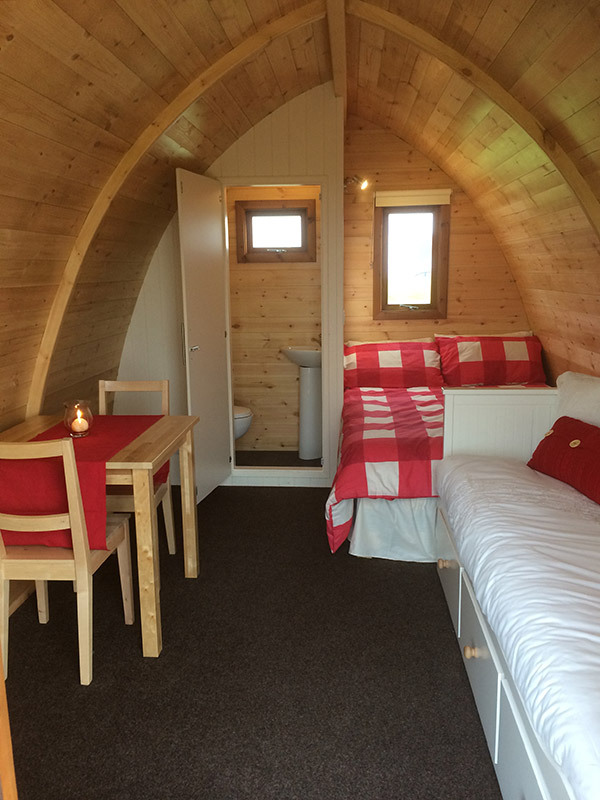 The kitchen & shower area is located 70 meters from the pods in a converted barn. The showers are spacious & warm. The kitchen is fully equipped with microwave, kettle, toaster, gas hob. It also has a solid fuel stove for extra comfort in the winter months. 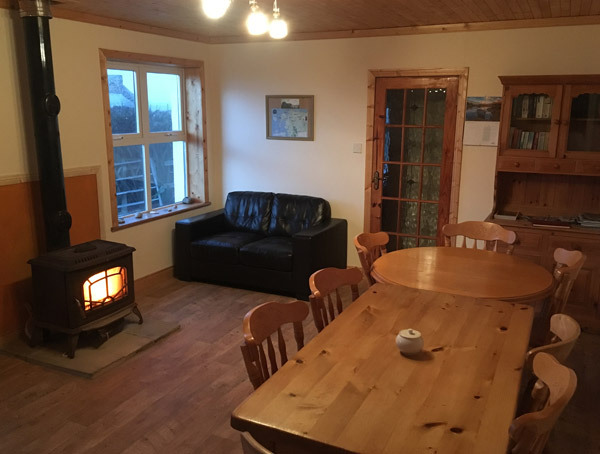 The kitchen area offers spectacular views of Blacksod bay & Achill.